Miklos Porkolab is Professor of Physics at Massachusetts Institute of Technology (MIT) (1977-present). Other institutional affiliations include Princeton University. His research interests include controlled fusion research, radio frequency heating of plasma, experimental studies of plasma turbulence, and basic plasma physics, including magnetic reconnection. March 3, 1939Birth, Budapest (Hungary). 1963Obtained BSc, University of British Columbia, Vancouver (B.C.). 1964Obtained MS, Stanford University, Stanford (Calif.). 1967Obtained PhD in Applied Physics, Stanford University, Stanford (Calif.). 1967 – 1977Research Assistant (1967-1968); Research Staff Member (1968-1971); Research Physicist (1971-1975); and Senior Research Physicist (1975-1977), Plasma Physics Laboratory, Princeton University, Princeton (N.J.). 1970 – 1977Consultant, Bell Telephone Laboratories. 1975Visiting Professor, University of Colorado, Boulder. 1976Visiting Scientist, Max Planck Institute, Garching. 1977 – presentProfessor of Physics (1977-present) and Director, Plasma Science and Fusion Center (1995-present), Massachusetts Institute of Technology (MIT), Cambridge (Mass.). 1978 – 1980Consultant, United Technologies. 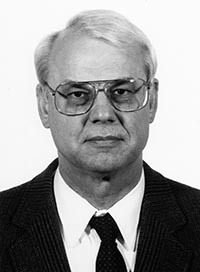 1978 – 1992Consultant, Lawrence Livermore National Laboratory. 1987 – 1989Consultant, Spire Corporation. 1991 – 1997United States Delegate for Plasma Physics, International Union of Pure and Applied Physics. 1991 – 2001Editor, Physics Letters A. 1992 – 1995Member, Subpanel on Plasma Science, National Research Council. 1999Chair, Plasma Physics Division, American Physical Society. 2009Awarded James Clerk Maxwell Prize for Plasma Physics, American Physical Society. 2013Awarded Hannes Alfvén Prize, European Physical Society. Advisor at Stanford University, "Microinstabilities and diffusion processes in a thermal plasma." Both employed at Princeton University, Plasma Physics Laboratory. Research Assistant; Research Staff Member; Research Physicist; and Senior Research Physicist. Chair, Plasma Physics Division and received 2009 James Clerk Maxwell Prize for Plasma Physics. Received 2013 Hannes Alfvén Prize. United States Delegate for Plasma Physics. Member, Subpanel on Plasma Science. Radio frequency power in plasmas : tenth topical conference, Boston, MA April 1993 / editors, Miklos Porkolab, Joel Hosea.